Milkshakes are a summer staple. They&apos;re the liquid version of ice cream, so you can have dessert with your meal. They cool you off from the summer heat. They&apos;re a source of love and happiness. Kids enjoy them, and adults do too. Milkshakes bring people together - they brought you to this blog, didn&apos;t they? And best of all, they come in many glorious flavors and forms. All you have to do is look for them. Well look no further milkshake lovers, this one&apos;s for you. 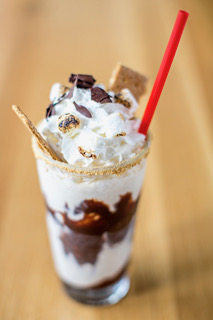 The Gimmie More S&apos;more Shake comes with hand-spun vanilla bean ice cream with double dark chocolate, mallow cream and crunchy graham crackers. Lemon Meringue, anyone? This one is vanilla ice cream, lemon pie, graham crackers and marshmallow meringue all conveniently packaged in a cup. This is the Marshmallow Crispy Treat. Rice Krispies and mallow cream blended with vanilla bean ice cream make up this incredible creation. And it&apos;s topped with crispy rice treats for the perfect finish. The Jim Bean: Take a Jim Beam, add ice cream, malt, caramel and a pretzel rod. So simple, yet so brilliant. Peanut Butter Nana Time: Great name, isn&apos;t it? This shake is even better. This one comes with Smirnoff Vanilla Vodka, banana liqueur, ice cream and fresh peanut butter cups. 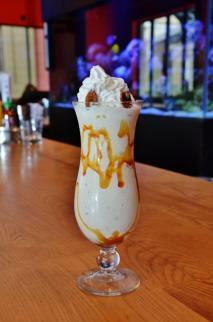 Pictured here is the Buttered Rum Pecan Spike Shake made with dark rum and roasted butter pecans. In a word: indulgence. It&apos;s in their name. 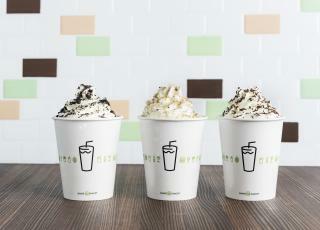 Shake Shack offers fun, seasonal shakes, concretes, cups, and cones. Unique to Dunwoody is the Pecan Pie Oh My concrete. So technically it&apos;s not a milkshake, but honestly why discriminate? The Pecan Pie is a special flavor that can only be found at our Perimeter Mall location. It features vanilla custard with a slice of H&F Bread Co. Pecan Pie. If this concrete was a song it would be "Georgia On My Mind." 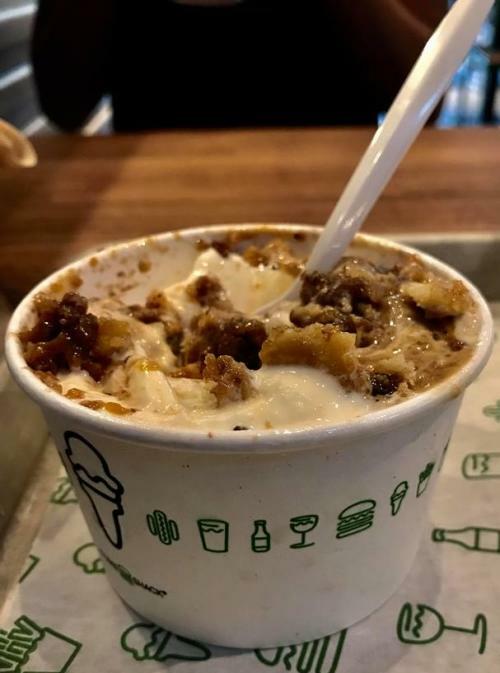 Another reason we just had to include this milkshake alternative is because 5% of sales from the Pecan Pie Oh My concrete support Camp Twin Lakes, a non-profit that provides year-round camp experiences for children with serious illnesses and life challenges. That takes the guilt right out of ordering this and replaces it with double the fuzzy feeling. 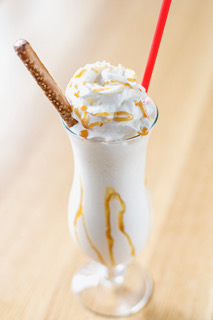 Farm Burger/Morelli&apos;s Ice Cream: Ice cream, and adult shakes/floats made with beer! Village Burger: Delicious custards and concretes that are a huge hit every time. Novo Cucina: Handspun gelato in an assortment of flavors. Make it even better by turning it into an adult float. Alon&apos;s Bakery & Market: The wildly popular King of Pops are sold here. Haagen-Dazs (inside Perimeter Mall): Premium ice cream and milkshakes. 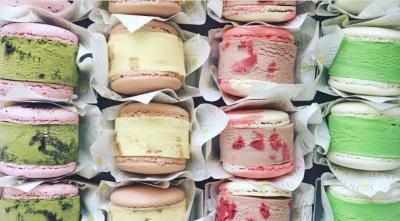 Macaron Queen (inside Perimeter Mall): 4 words: Macaron Ice Cream Sandwiches. We just gave you plenty of options to escape the summer heat. Now treat yourself to the coolest dessert of the season. 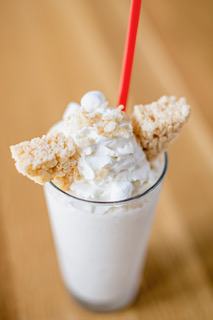 Shake things up from the usual with a visit to Dunwoody. You&apos;ll discover that we are a pretty sweet destination.